Draperies can be susceptible to a wide variety of problems, ranging from shrinkage and fading to stains and abrasion damage. Too often we only think of cleaning draperies after they’ve been framing our windows for a few years. Sometimes problems can develop over time while they are just hanging there, doing their job of beautifying out homes. Because draperies are exposed to atmospheric conditions in greater concentrations and for longer periods of time than most garments and textiles, they can encounter a number of problems. Often these problems do not become evident until the item has been dry cleaned or washed. Fiber Glass Draperies – 4 years. To protect drapes against yellowing due to excess staining and soiling, clean the drape at least once a year. It is best that you have your drapes cleaned by a cleaner who is experienced in the cleaning of drapes and is knowledgeable in drapery problems. Protect drapes from prolonged dampness. Moisture from rain, leaky pipes, or condensation from window panes can result in water marks and mildew. If possible, rotate draperies periodically to vary the amount of light exposure received. 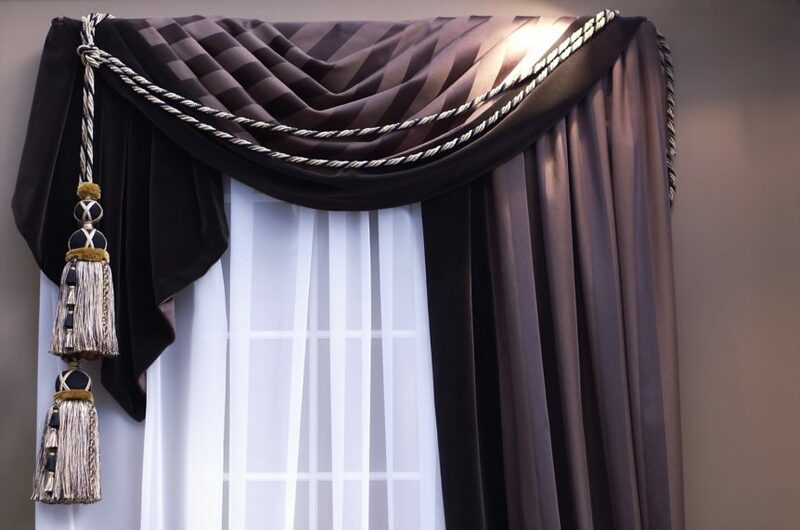 Protect drapes from abrasion damage by avoiding constant rubbing on window sills or furnishings while in use. Abrasion damage can also be caused by a family pet snagging the fabric with sharp claws. Keep draperies away from the kitchen, wood stoves, or fireplaces. Smoke from wood stoves, fireplaces, and cigarettes; cooking fumes; and other atmospheric contaminants can contribute greatly to drapery soiling.